Chone started 2nd grade today. She decided that she would go by Maria (her first name) this year. She has always gone by her middle name, Angelica, until now. So I guess she will be known as both Angelica and Maria. 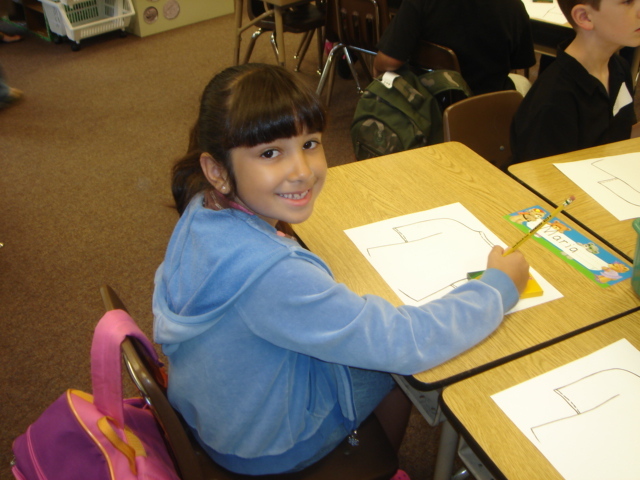 At home she is Angelica, at school she is Maria, at soccer she is Angelica, and at catechism she is Maria Angelica. How does she keep track? Her first assingment was to draw things she did during the summer. She said she was going to draw going to the lake with her Dad, watching TV, and riding her scooter. She had some friends in her class, so I was comfortable leaving her on her first day of school. Next year she will be going to a new school for 3rd, 4th, and 5th graders. I know she will do great this year like she always does. Lil' Christian got so excited to see Angelica that when he saw this picture he yelled "Gelica! mommy gelica?!" 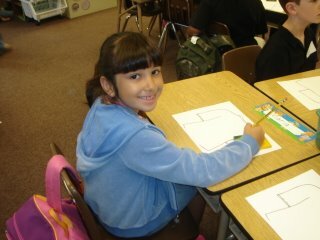 I remeber when i went with cari to take angelica to school, i was so proud, i still am proud. i can't believe that she is 7..we're getting old woman.